Post questions & answers about; paddle selection, building and maintenance; paddling techniques; boat transportation, storage & maintenance. I have started making some parts for a sailing rig and just wondered if anyone else has done this what design they used and how they got on particularly with sailing which is an unknown area to me. 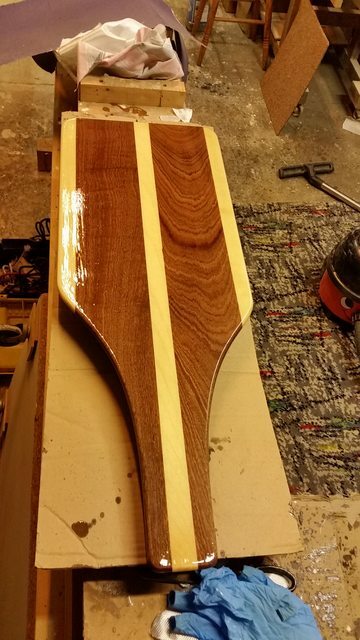 I am working from Todd Bradshaws excellent book "Canoe Rig the Essence and the Art" and have made a hollow mast and am currently making a pair of Morris style lee boards.I put a fill coat of resin on them today.